This morning I woke up to an email from a reader who asked if I had completed the puzzle yet. Yes I have! I’m so sorry! I forgot to post a picture on the blog. I only posted it on Instagram and Twitter! I won’t make that mistake again. So here it is. 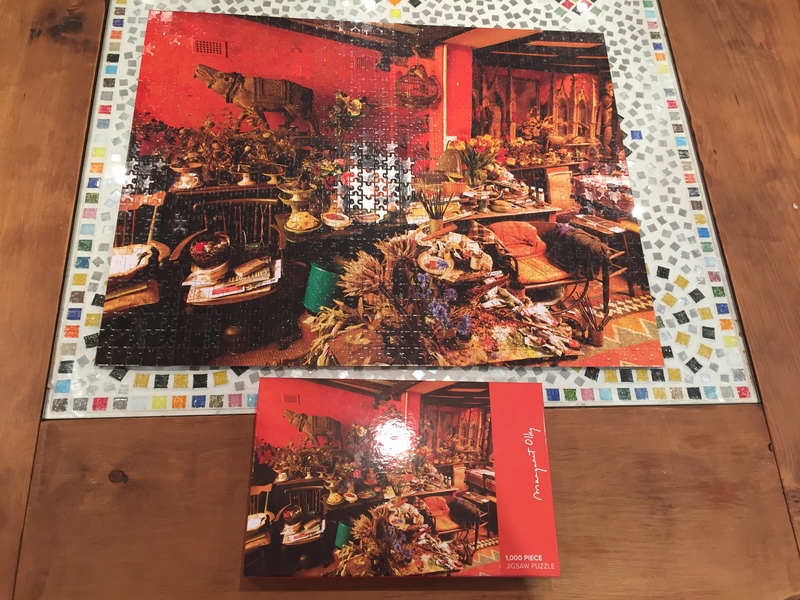 The photo of the completed puzzle. Puzzle – finished at last! Soon after this photo was taken the puzzle was broken down into individual pieces. All ready for its next victim – namely my sister in law – who has, in turn, loaned me one of her puzzles. An image of the Las Vegas strip! Watch this space. I have most definitely refound my passion recently for doing puzzles. I find that puzzles are an excellent activity for keeping my brain sharp! When doing a puzzle we are working both sides of our brain simultaneously. Something which apparently few other activities do. Or so I have been told! The creative side works to see the finished product while the logical side works to fit the pieces together. Nothing teaches you to focus and concentrate on a task like finding the right piece to go into the puzzle. It can be quite some time before the puzzle starts to come together and you have to persevere at it until it does come together. That’s where the skill of patience comes in! And even though a puzzle taxes your brain, it’s not so demanding that you can’t talk with your friends or family while working on it. Some of the best conversations in this house, and at other peoples too, have happened whilst working on a puzzle. Doing puzzles gives the subconscious a chance to work on other things. Working a puzzle definitely allows my mind to rest and think about other things. It gives my subconscious a chance to work. I’ve realised that I’m drawn to working on a puzzle when something is bothering me and I need to find a solution to a problem. I’ve noticed that I’ve come up with some good solutions and ideas whilst working the puzzle. Doing the puzzle has definitely fed my creativity. And frankly, I can’t wait to start the new one! One last thing did you notice the addition of the new digital badge to my homepage? I was thrilled to have learned that There Is Always More to Say has been named a runner-up in the 2016 Shelf Unbound Best Indie Book Competition.